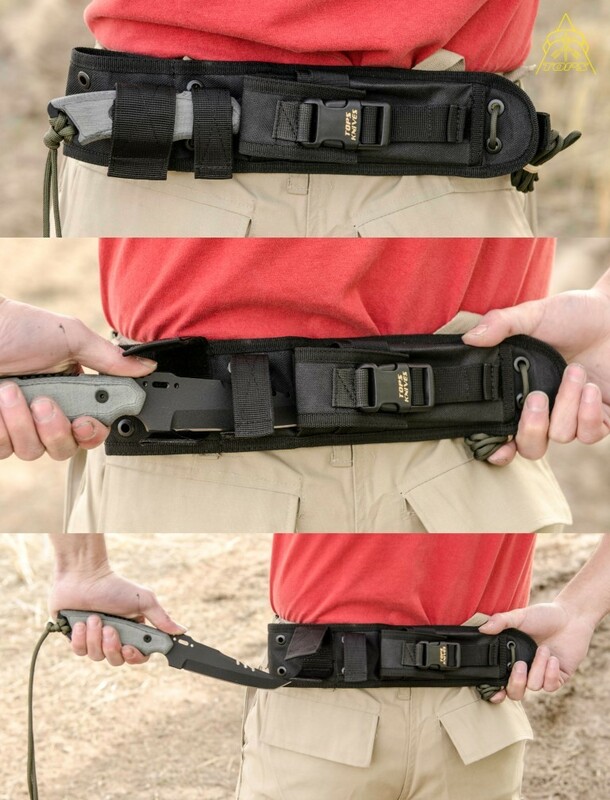 This is a no nonsense tool supporting a diverse group of situations. 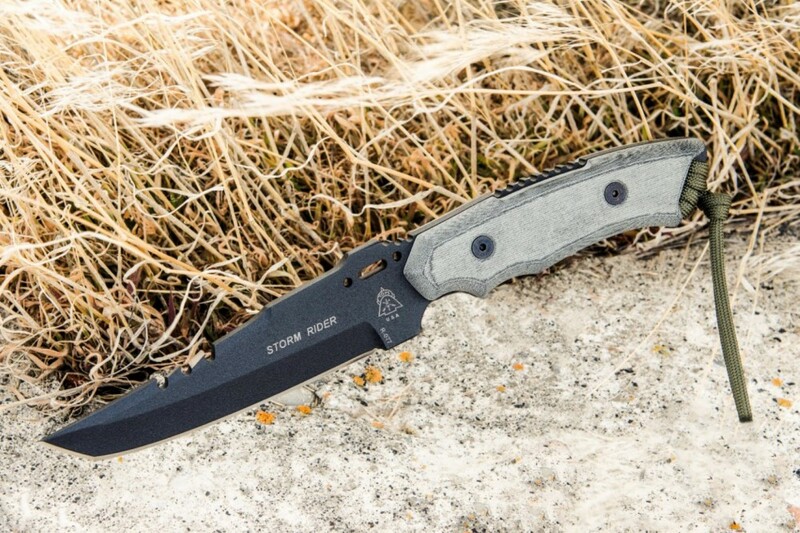 As the name implies this rugged style has weathered many a stormy situation. 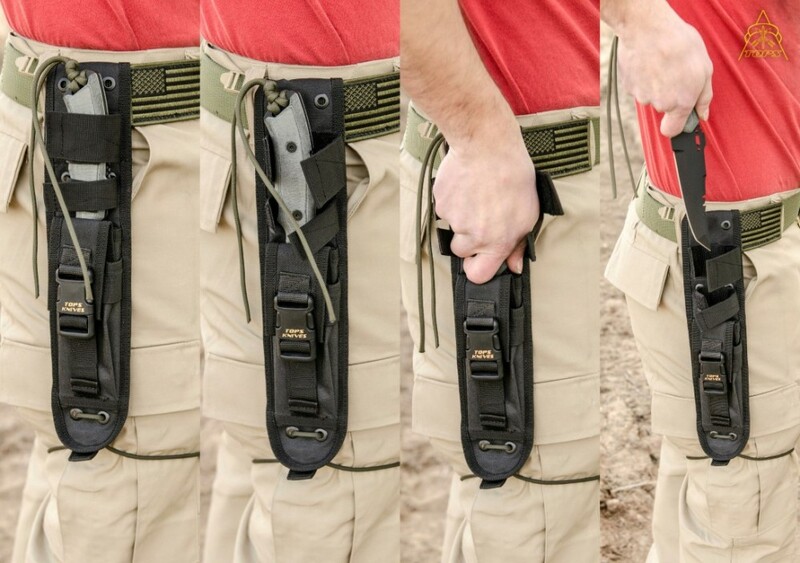 It was designed for covert carry or outside carry. It has proven highly field worthy through many years. 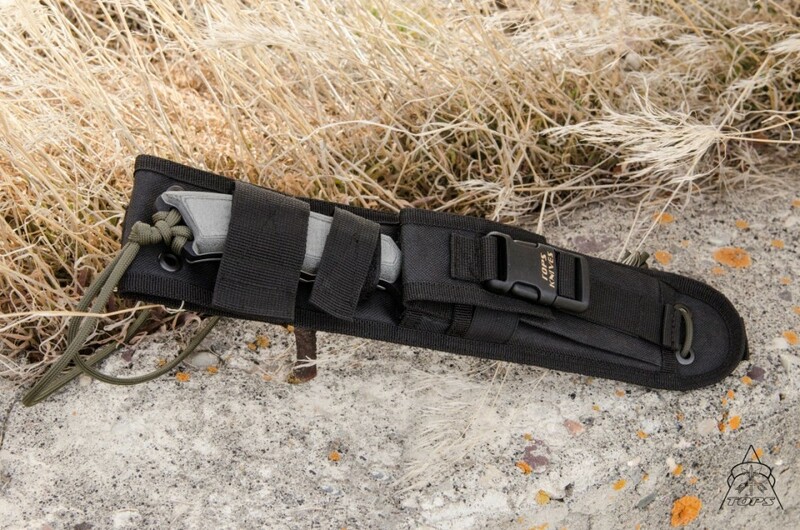 Utilized by military, law enforcement, and special security teams, this is a no-nonsense tool supporting a diverse group of situations. Many years ago renowned adventurer Jeff Randall, took the TOPS Storm Rider and the Hawk Recon into the jungles of the Amazon. 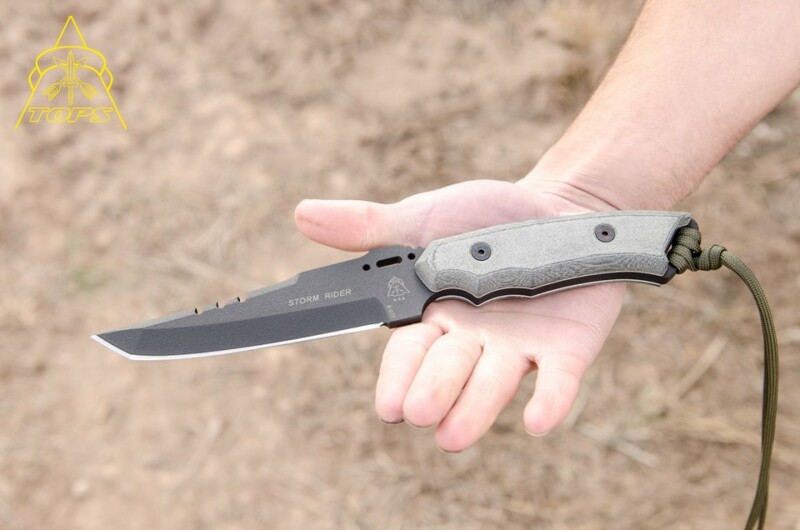 In a photo filled story appearing in Tactical Knives Magazine, Jeff put the knives through their paces. 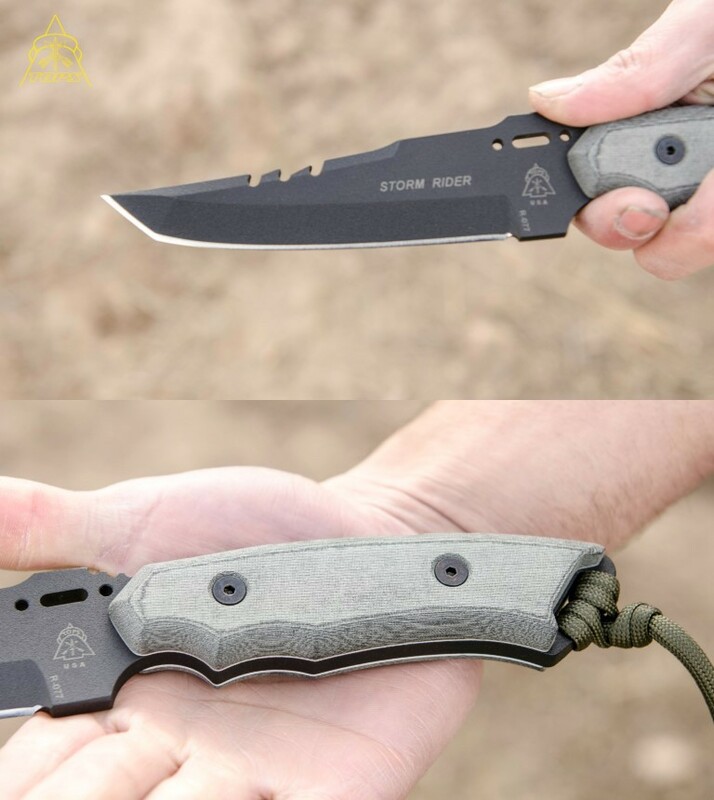 "The TOPS blade was used to clean and dress food during the 2 week expedition. 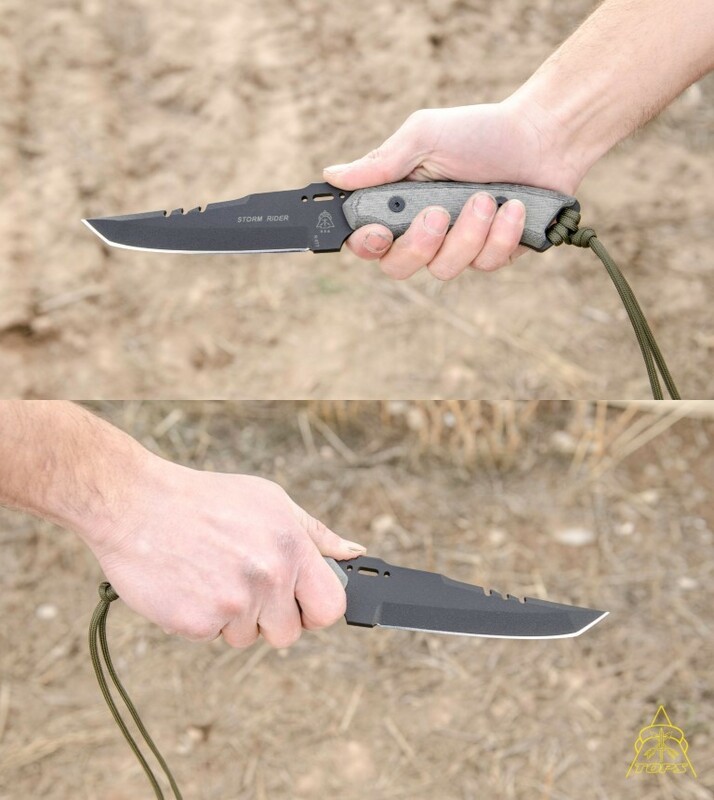 The edge durability and the "Hunter's Point" served the team well without need for constant field sharpening. 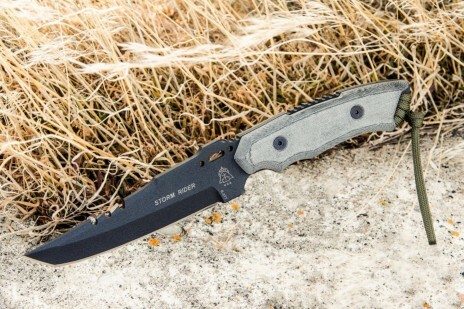 TOPS "Hawk Recon" and "Storm Rider" are both super strong working knives for those that expect the most from their cutting tool."